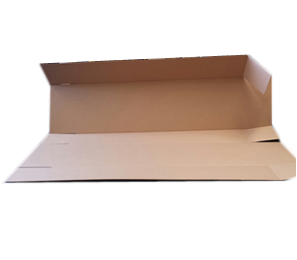 We create custom made cardboard boxes! This box is unglued. It is used for things such as:- Screens, Televisions, Speakers and pretty much anything that needs that little extra care when packing. The FF5PF is also called a wrap around box as it kind of wraps around and hugs the product its protecting.